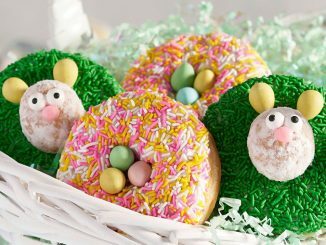 Tim Hortons introduces its new Timmies Minis kids menu, featuring meal options with no artificial colours or flavours, a full serving of fruit, a drink, and no added sugar. The Timmies Minis menu offers parents and kids the opportunity to build their own meals from a variety of options, including one of three select entrees, one of four sides and one of five drinks. Mini Wrap: Seasoned grilled chicken wrapped in a soft tortilla with lettuce and cream cheese, and grilled fresh when ordered. Chicken Strips: Two pieces of seasoned, breaded chicken breast served with sweet and sour sauce. 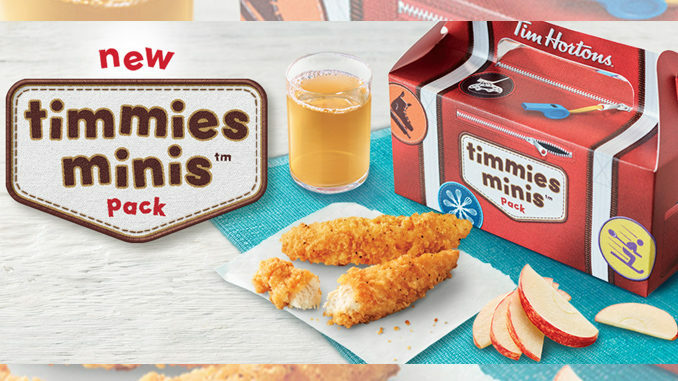 Timmies Minis Packs can be found at participating locations across Canada for a suggested price of $4.99 each. Prices may vary by location and entree selected. Every Timmies Minis Pack features a fun box that celebrates Canada and will change with every season. In place of a toy, the box will include a fun activity book that will also change monthly. The first box and activity book will feature a winter sports theme with Canadian animals playing some of the country’s most popular winter activities including a hockey-playing beaver, snowboarding bear and tobogganing raccoon. 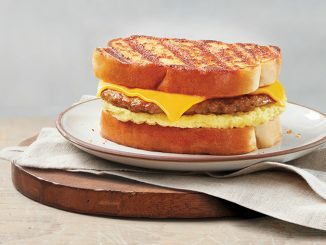 Tim Hortons says additional items will be added to the Timmies Minis menu in 2019.